This weekend, Matt and I have been lucky enough to have been invited to our friends lovely home in the Hamptons. I am looking forward to relaxing around their pool, soaking up a little sun (emphasis on the little) at the beach and getting in some quality time with their adorable 4 month old son. It is certainly going to be a different Hamptons experience than the one Kinsella showed us but that doesn’t mean that I am not SUPER excited! Tonight Matt and I are packing for the weekend. Here are my top 5 things you should bring when you go to the Hamptons for a weekend of summer fun. After years of burning, I’ve come to realize that I am not someone who tans. It is the harsh truth. Took me 29 years to realize it, but I have finally accepted it. As a result, I’ve become somewhat of an expert on sunscreen. 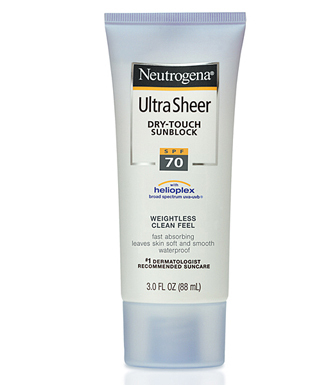 I’ve tested multiple brands and Neutrogena is far and away my favorite – particularly the Ultra Sheer, Dry-Touch style. This is a must have for everyone who wants to prevent skin cancer and wrinkles! Almost as important as protecting you skin, is protecting your eyes. Ideally you should look for a pair of sunnies that block 100 percent of UV rays and that also absorb most HEV rays. 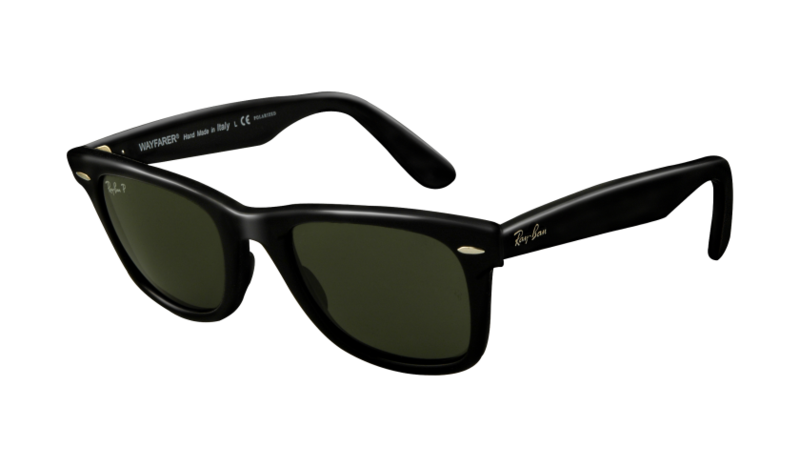 Unfortunately if you are like me and notorious for loosing your sunglasses it might be hard to justify the expensive price of Ray Bans. Thankfully, you can buy knock offs on the streets of NYC (and in most Target stores) for $5 a pair. Sadly, they probably don’t have the UV ray protection you need. Another place worth checking out is newcomer Warby Parker, who are quickly becoming known for the on trend frames and philanthropic model. A maxi dress is a great option for dinners out when the temperature might drop, the AC might be blasting or to cover a sunburned leg! Dress them up with heels or go casual with a fun summer flat or classic style like Jack Rogers. Plus with the right material, this is a piece that can be added to your weekend tote without the worry of wrinkles. Make sure you bring a purse or tote that is big enough to carry everything you need to the beach and is water/sand friendly. I’ve made the mistake of just bringing a regular purse on beach trips and then not having anyway to bring my towel, sunscreen, book, etc to the beach. 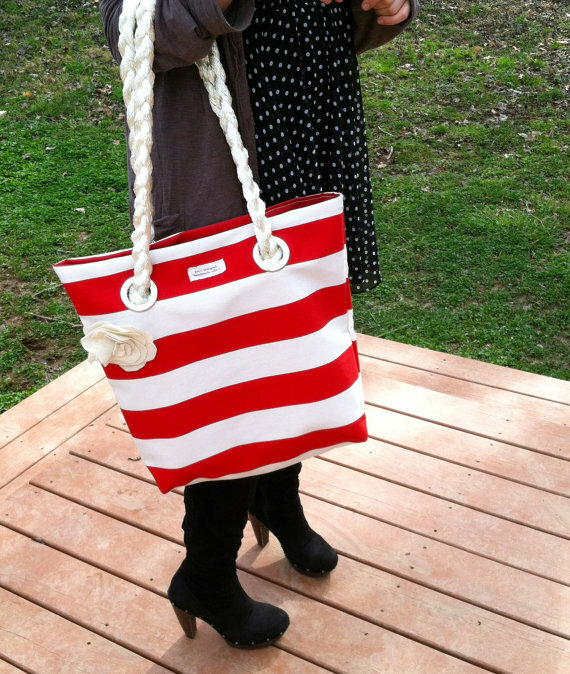 A nautical themed tote is a nice touch for a seaside town. If you are lucky enough to be invited to a friend’s home like we are, make sure you don’t show up empty-handed. Gifts don’t have to be expensive but gifts that take either your, or the host’s interests into consideration go a long way. 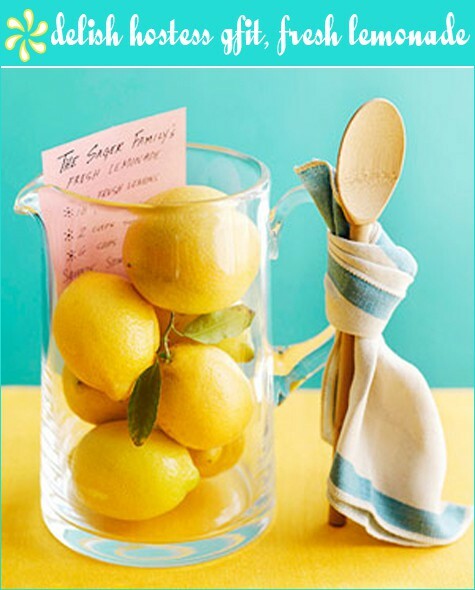 Bring your favorite game, a jar of homemade cookies or the makings of their favorite brunch cocktail.